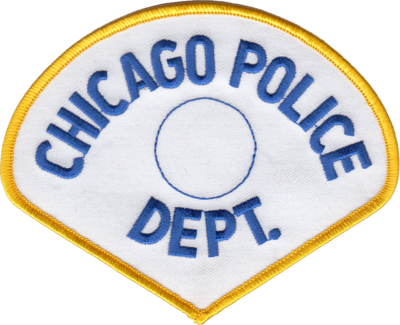 Patch is a replica of the current Chicago Police shoulder patch worn by Police Officers in a subdued color scheme. BUY IN BULK AND SAVE! See our bulk discount matrix below. 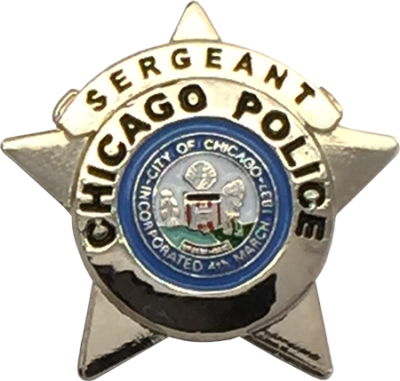 This pin is a replica of the current 2002 Series Chicago Police Star worn by Sergeants. BUY IN BULK AND SAVE! See our bulk discount matrix below. 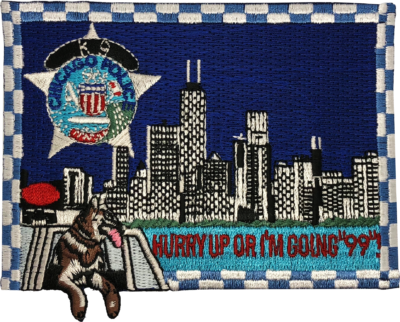 Patch is a fantasy design for the Chicago Police K-9 Unit. BUY IN BULK AND SAVE! See our bulk discount matrix below. 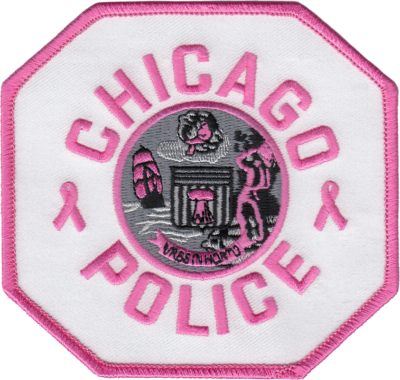 Patch is a replica of the current Chicago Police shoulder patch worn optionally by all ranks during the month of October to support Breast Cancer awareness. BUY IN BULK AND SAVE! See our bulk discount matrix below. 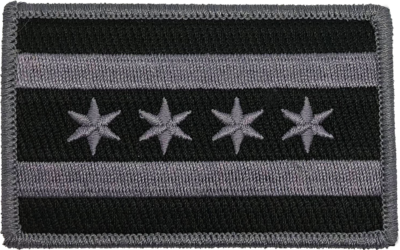 Patch is a replica of the current Chicago Police shoulder patch worn by Command Staff on the Class B and C Uniform shirts, sweaters and most Outer Garments excluding the Blouse, Reefer and Leather Coat. Command Staff ranks include Commander, Deputy Chief, Chief, First Deputy Superintendent and Superintendent. BUY IN BULK AND SAVE! See our bulk discount matrix below. 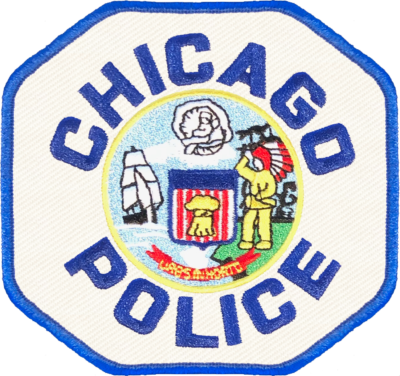 Patch is a replica of the old style Chicago Police shoulder patch worn by Command Staff. BUY IN BULK AND SAVE! See our bulk discount matrix below. 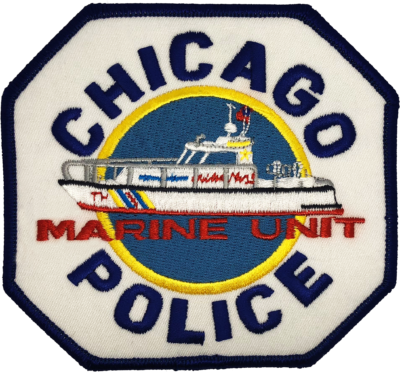 Patch is a fantasy replica of the current Chicago Police shoulder patch with a custom Marine Unit seal design. BUY IN BULK AND SAVE! See our bulk discount matrix below. 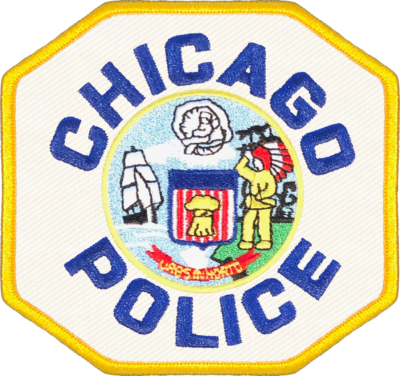 Patch is a replica of the old style Chicago Police shoulder patch worn by Police Officers. BUY IN BULK AND SAVE! See our bulk discount matrix below. 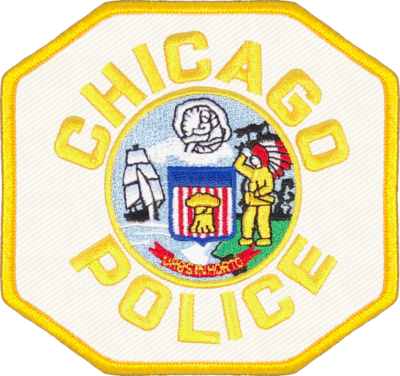 Patch is a replica of the current Chicago Police shoulder patch worn by Police Officers on the Class B and C Uniform shirts, sweaters and most Outer Garments excluding the Blouse, Reefer and Leather Coat. Titles of “Police Officer assigned as” include Canine Handler, Detective, Evidence Technician, Field Training Officer, etc. BUY IN BULK AND SAVE! See our bulk discount matrix below. 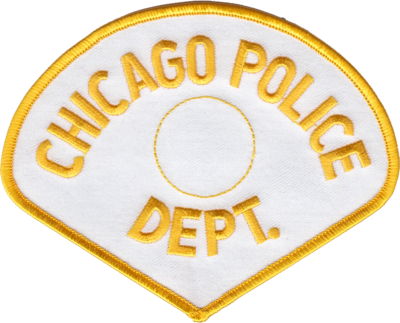 Patch is a replica of the current Chicago Police shoulder patch worn by Supervisors on the Class B and C Uniform shirts, sweaters and most Outer Garments excluding the Blouse, Reefer and Leather Coat. 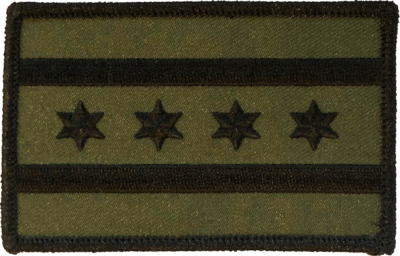 Supervisor ranks include Sergeant, Lieutenant and Captain. 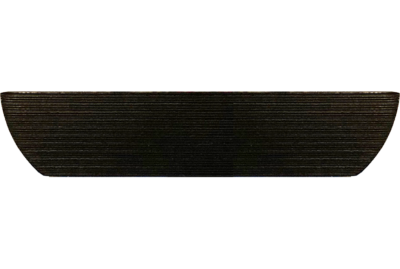 This patch is also worn by Chaplains and Inspectors. BUY IN BULK AND SAVE! See our bulk discount matrix below. 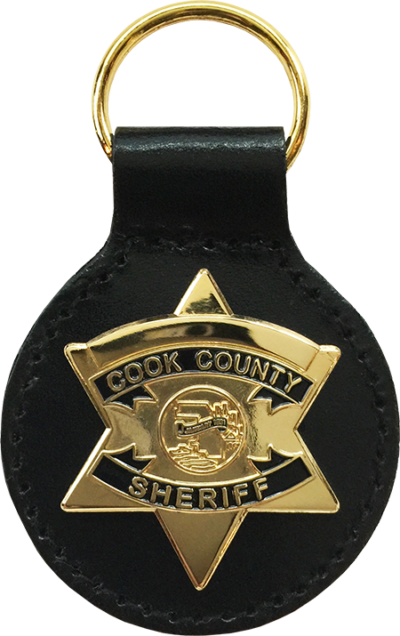 Patch is a replica of the old style Chicago Police shoulder patch worn by Supervisors. BUY IN BULK AND SAVE! See our bulk discount matrix below. 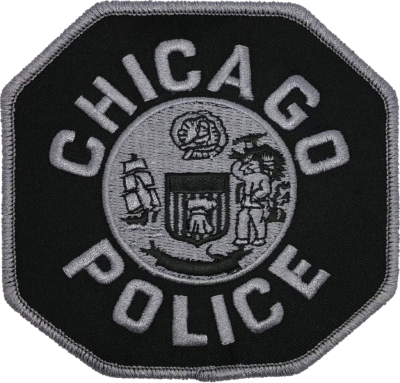 Patch is a replica of the current Chicago Police shoulder patch in a subdued olive drab green worn by Special Weapons and Tactics Team (SWAT) Members. 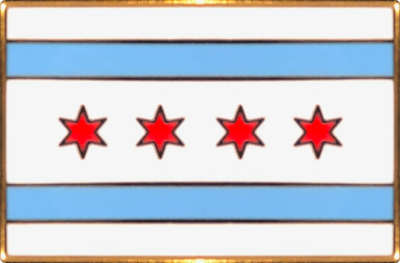 This pin is a replica of the current City of Chicago flag. BUY IN BULK AND SAVE! See our bulk discount matrix below. 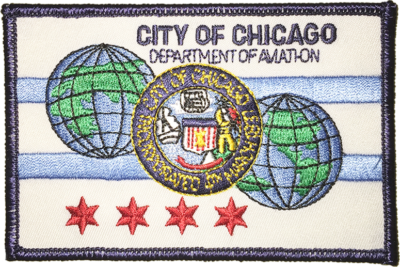 Patch is a replica of the current City of Chicago Flag patch in a subdued grey worn by Gang and Tactical Team members. BUY IN BULK AND SAVE! See our bulk discount matrix below. 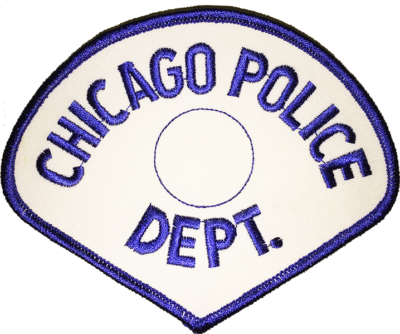 Patch is a replica of the current City of Chicago Flag patch in a subdued olive drab green worn by SWAT Team members. BUY IN BULK AND SAVE! See our bulk discount matrix below. 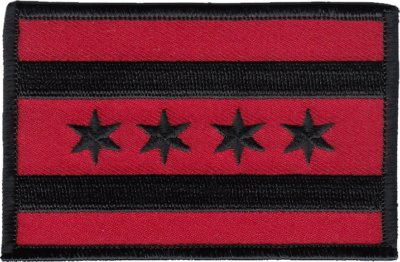 Patch is a replica of the current City of Chicago Flag patch in a subdued red. BUY IN BULK AND SAVE! See our bulk discount matrix below. 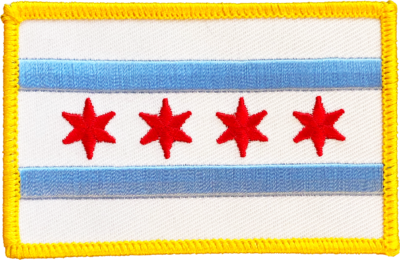 Patch is a replica of the current City of Chicago Flag patch in standard colors worn by all ranks. BUY IN BULK AND SAVE! See our bulk discount matrix below.